Remember the Replicator on Star Trek? 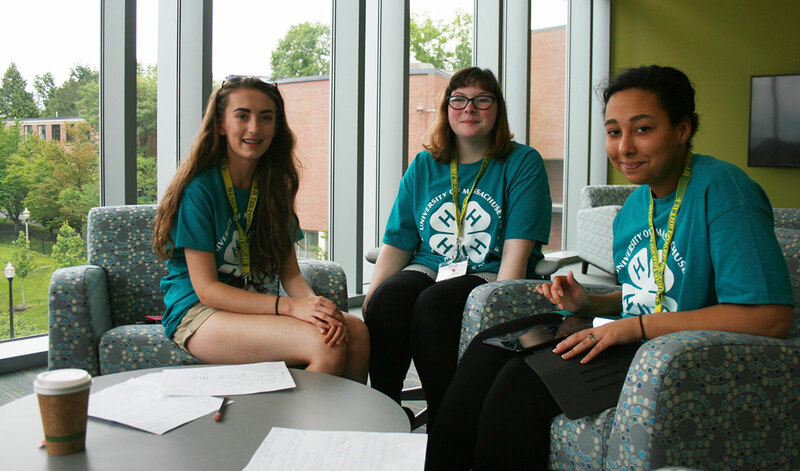 This summer’s 4-H campers are a little young to remember that (they’ll have to wait for next year’s Star Trek Beyond movie to be released). Ok, while we may not yet have that Replicator, we are definitely getting closer. 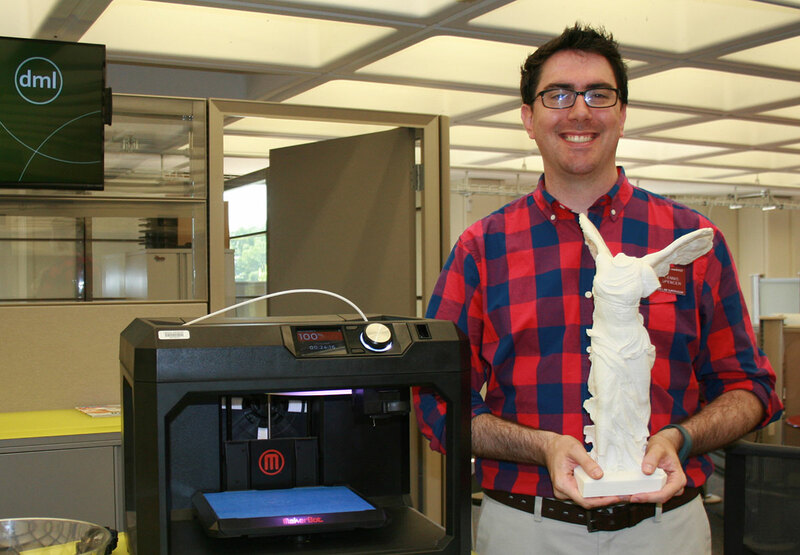 3D printing technology is rapidly becoming commonplace at work, in schools and at home. 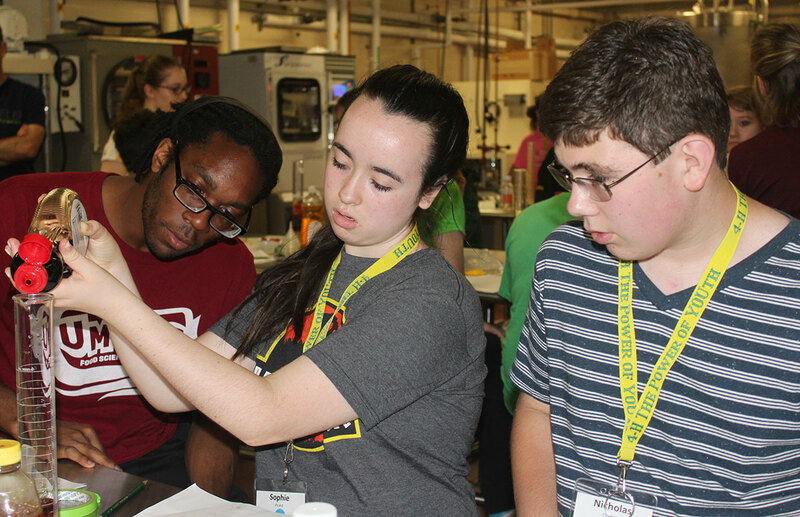 4-H campers discovered this for themselves during their recent Science, Environment and Technology (SET) Camp at UMass Amherst. 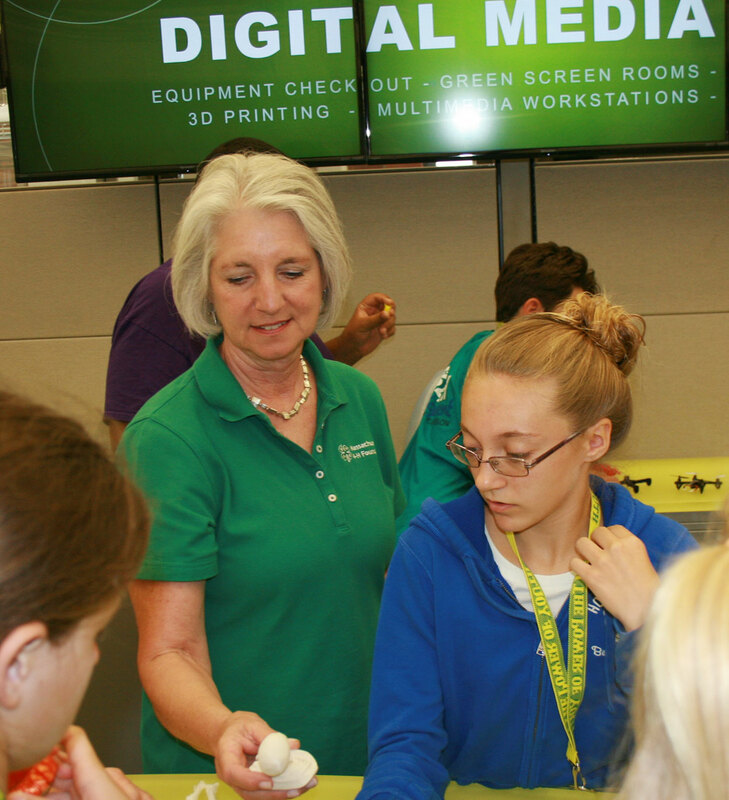 Students were taught how to design and then print objects at the new Innovation Center in the Digital Media Lab (DML), part of the University’s W.E.B. Du Bois Library. While some of these young learners had already used this technology in their own schools, others were clearly amazed at the ability to create their own customized items. Imagine printing your own wearable items (shoes? jewelry?) toys and sculptures! The campers learned that a Chinese company has even printed a real full-size 3D home. Seemingly, one’s imagination is now the chief limiting factor to what can be created through this technology. 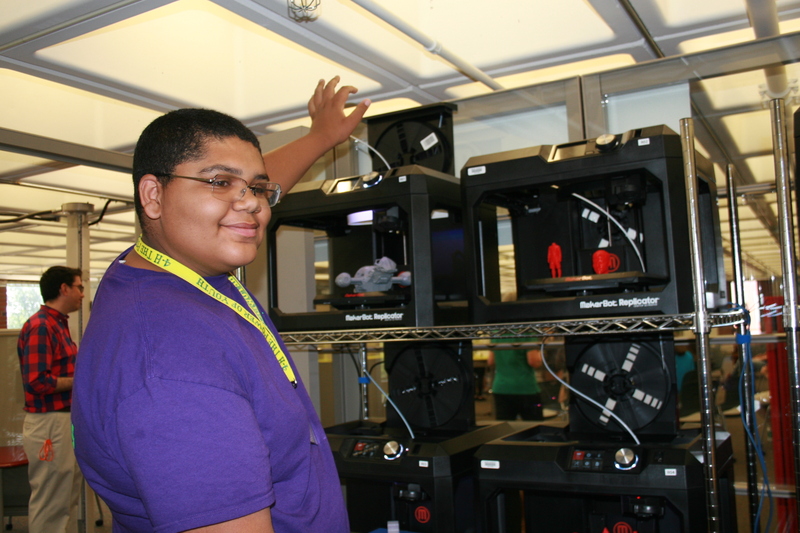 Demand for learning about and using 3D printing technology is ramping up quickly. 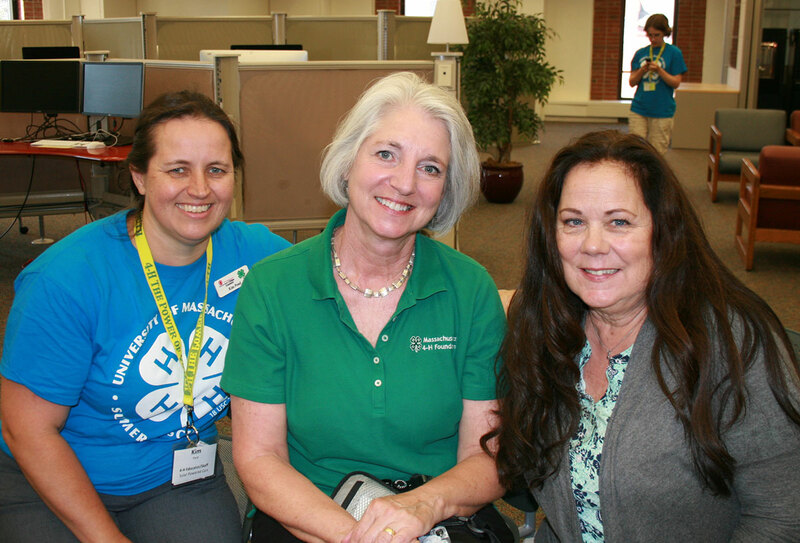 The DML is actively planning ways in which to make printers available to academic interests this fall. 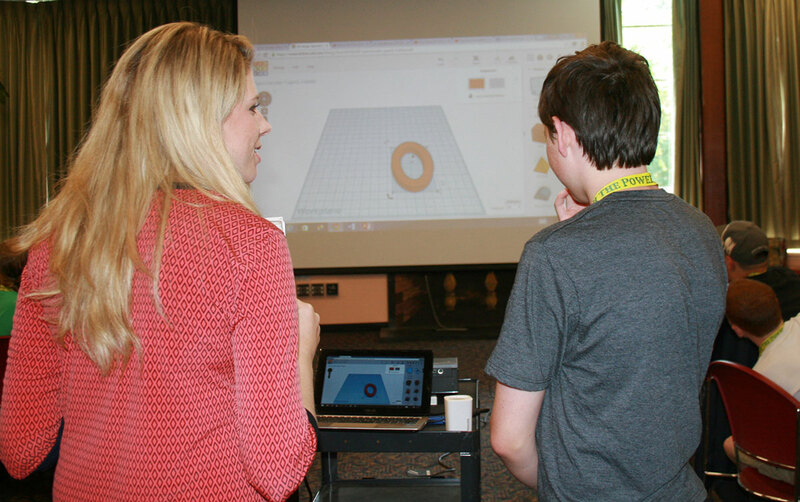 Despite the fact that some students had not seen a 3D printer before attending class, by the time they left, design and production ideas were floating through the air with great ease. 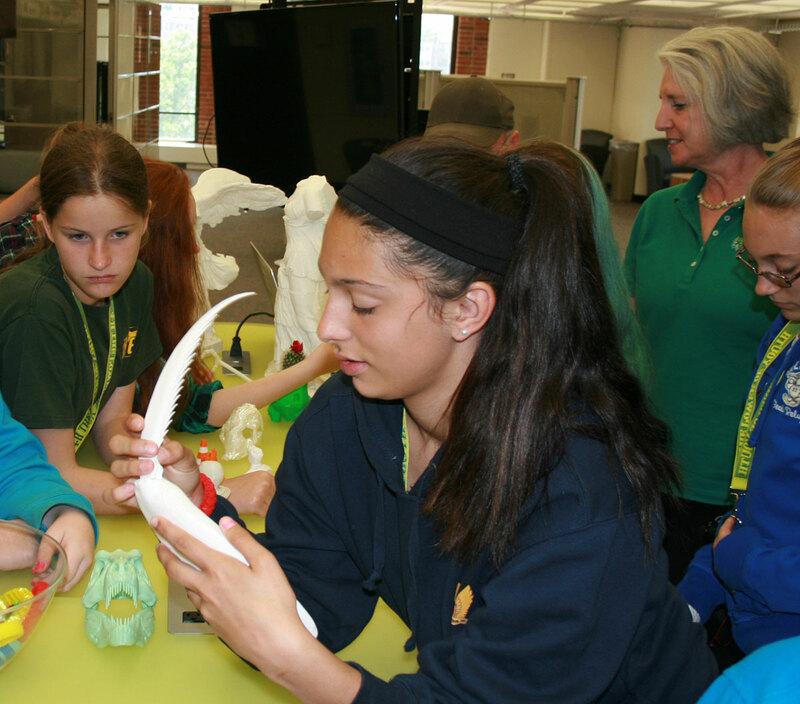 While 3D technology classes were taking place, other campers were being introduced to a wide variety of topics. 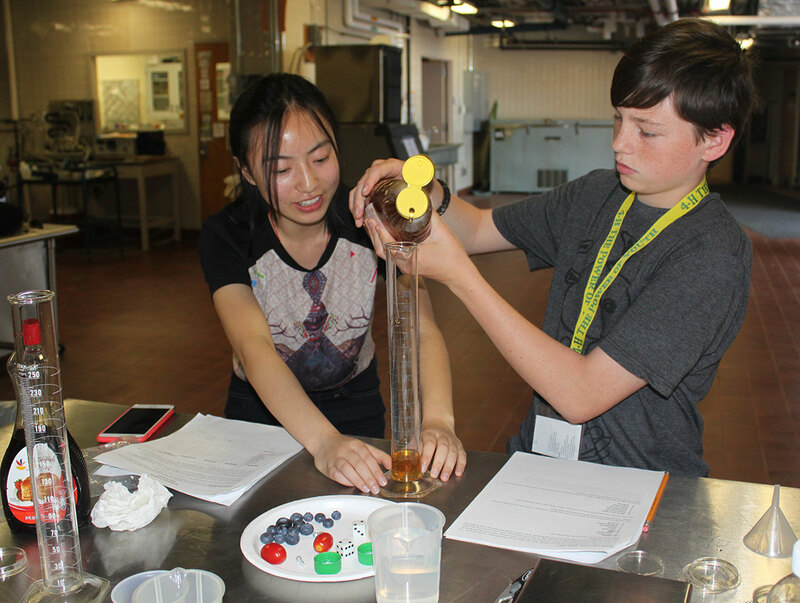 For example, Food Science Extension Professor Amanda Kinchla talked about physical properties of food focusing on their density and the ways in which different preparations change the final product. 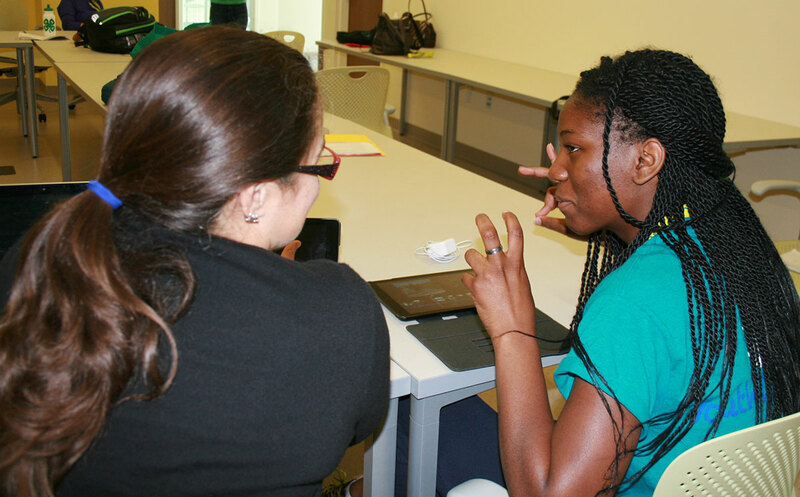 Elsewhere, campers learned how to edit movies on tablet computers as music clips and videos were woven together. Solar cars and robotics vied for hands-on modeling while the horse barn was busy with students drawn more to large four-legged creatures than to computers.